The Littoral Combat Ship program is poised to make big strides this year in its strike capability, both with over-the-horizon missiles and the shorter-range Longbow Hellfire missile. The Independence-variant USS Coronado (LCS-4) will deploy later this year with the Boeing-built Harpoon anti-ship missile, and engineering is underway to outfit USS Freedom (LCS-1) with the Naval Strike Missile (NSM), a partnership between Kongsberg Defence Systems and Raytheon. Program Executive Officer for Littoral Combat Ships Rear Adm. Brian Antonio told USNI News in a May 2 interview that the Harpoon system will be installed on Coronado within the next month, in time for an over-the-horizon missile demonstration at the Rim of the Pacific (RIMPAC) 2016 exercise in Hawaii this summer. “It’s the beginning of how to incorporate OTH on LCSs,” he said. The NSM effort is a bit farther behind, with the engineering not yet complete, but the missile system integration will be done in time for Freedom’s next deployment. 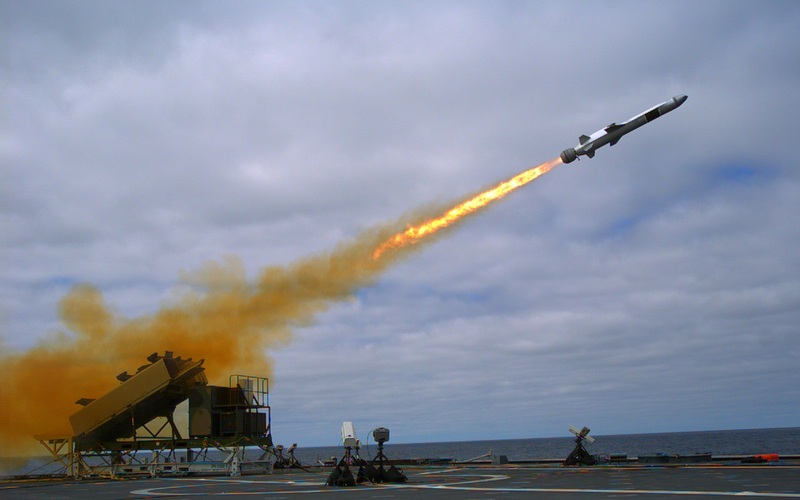 Antonio said the OTH missile effort falls into four categories: demonstrating the capability on Coronado and Freedom in the near term to “show that LCS is capable of having a long stick;” building a missile system into new LCSs; backfitting the systems into existing LCSs; and designing a missile into the frigate design. The program office is looking at the last couple LCSs ahead of the transition to the frigate – the planned Fiscal Year 2017 ships – and investigating “are we able to capture with our FY 17 ships, actually starting it right from scratch and getting the shipbuilders to incorporate the right systems to be able to support OTH?” Building the systems into the frigate design will be somewhat easier, since there will be more freedom to install the system where it makes the most sense instead of where the LCS design allows for a missile launcher. Still, this year’s OTH missile installation efforts will more tightly integrate the missile system with the ship than did a previous test of the NSM on Coronado, Director of Surface Warfare Rear Adm. Pete Fanta previously told USNI News. In addition to the OTH strike capability, the Navy is also adding a short-range missile to the LCS surface warfare mission package to help address the fast inshore attack craft threat. “Later this year we’ll also do some surface-to-surface missile shots of the Longbow Hellfire missile – I think it’s four more this year off of a guided test vehicle,” Antonio said in the interview. The Navy began testing the modified Hellfire missile – altered to fire vertically from the ship instead of horizontally from a helicopter – last year and will continue testing the missile from test platforms rather than from an LCS in the short term.